About a month ago I went on a photo trip to South Africa. This was a do-it-yourself trip, in many ways similar to my first trip over there in 1988, except there were four of us on that trip. This time I went alone. On this trip I flew into Cape Town, rented a car (Nissan SUV, 4WD), and headed for the parks and private preserves where I hoped to get the photo reference and have the kind of experiences that will help me do the kind of paintings in the future that I hope to do. 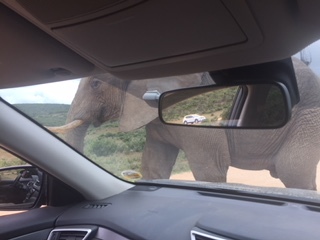 The first park I visited was Addo Elephant Park near Port Elizabeth in the Eastern Cape of South Africa, and also a couple of private preserves nearby. Addo is best known for its elephants, and it certainly lived up to its reputation. There are many other species (both large and small) in surprising densities there as well, and I left that place with lots of ideas and good reference material. After leaving the Eastern Cape I drove northeast along the coast through the coastal homelands to Durban and on to Richards Bay. This was a long challenging drive, and definitely not for everyone. I’m glad I did it, but I would never do it again or even recommend it to anyone else. My next stop was Zeekopan, a private area in Kwa-Zulu Natal. Zeekopan is a former cattle ranch that is now converted into hunting lands and is connected to several other large properties. There are many areas like this in South Africa, areas that are no longer home to cattle, sheep, and goats and are now home to kudu, elephant, and lion as well as many other kinds of birds and animals. The variety and abundance is very impressive. 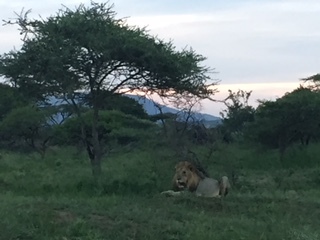 My hosts at Zeekopan were Willem and Amanda Basson and my personal safari guide was Christian Schmidt. Christian was infinitely patient as I photographed as many birds and animals as well as trees and even rocks and scenes as possible. 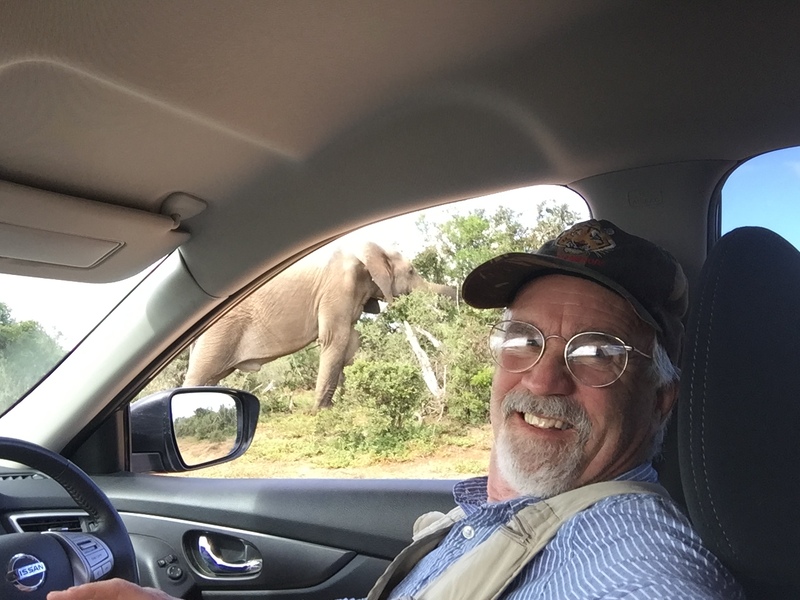 With Zeekoepan as our base camp, Christian and I traveled to several adjacent private preserves and also to Ithala National Park and Tembe National Elephant Park. At Tembe I saw and photographed several of the biggest elephants I’ve ever seen. Bulls with tusks out to six or seven feet. 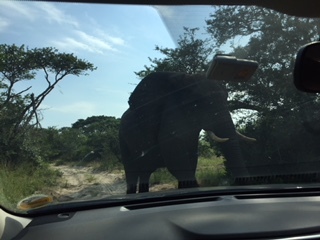 These are impressive and potentially very dangerous animals, and all went well until we ran into a ‘musth’ bull on a narrow sandy road with very dense and brushy sides. When he challenged us, we got out of there as fast as possible and had no desire to go back for another look at that bull! 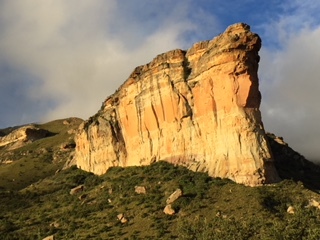 My next stop after Zeekoepan was Golden Gate National Park, known for its great sandstone cliff faces. Very impressive scenery but only marginally good for wildlife. 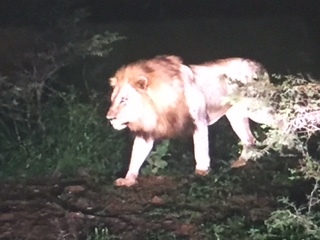 A side trip to a private rescue sanctuary called ‘Lions Rock’ proved to be little more than a zoo, complete with caged overweight lions and tigers that were unimpressive compared to the wild lions that I saw in Addo or Zeekoepan. I felt sorry for them as they led their pampered and uneventful lives without ever knowing what it is to be a LION! After Golden Gate I drove southwest towards the Karoo and Karoo National Park. Karoo is arid and rugged and is home to great gemsbok, eland, hartebeest, zebra, lion, and more. Kudu are high on my list of favorite African animals and I was delighted to discover that big kudu bulls are common there, some over 60 inches even. And then it was on towards Cape Town where I made a short visit to Cape of Good Hope National Park where the Atlantic and the Indian Oceans meet. And then it’s on to the long flight home and back to the real world. In the end I think I would rate this trip as my best research trip yet. Having a smart phone with maps made navigation easy even while traveling alone. Digital cameras and quality long lenses as well as a great abundance and variety of wildlife made my research very productive. And finally, the people that I met and spent time with, especially the good folks at Zeekoepan, allowed me to gather more information and research than on any trip from the past. All in all it was a fun and productive trip and I am already planning a return visit to Africa in 2019. And of course, my head is full of ideas to paint, more than I’ll ever have time for. A good problem to have. And finally, I will be putting together and showing a ‘slide show’ from this trip at our annual Christmas Open House next December. Details to follow next fall on my website or on Facebook. Stay tuned! In January I traveled to Chesapeake Bay to hunt ducks. There were three of us from Minnesota: Greg Schrantz, Tom Martineau, and myself. Our hosts/ guides were Rob Denny and Jim Goins. The weather conspired against us but we did get a few ducks anyway, and they looked great in their late winter/spring plumage. 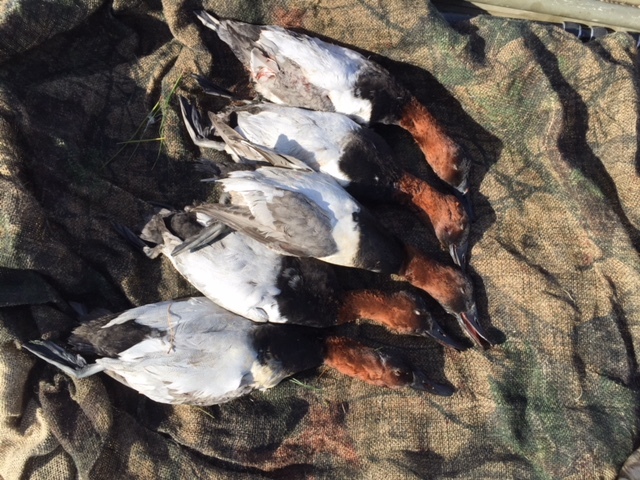 I even took a pair of beautiful canvasbacks home to have mounted. We had a great time and hope to return next year. 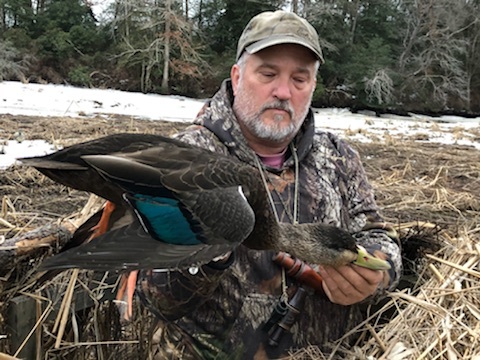 Jim Goins with a drake black duck. 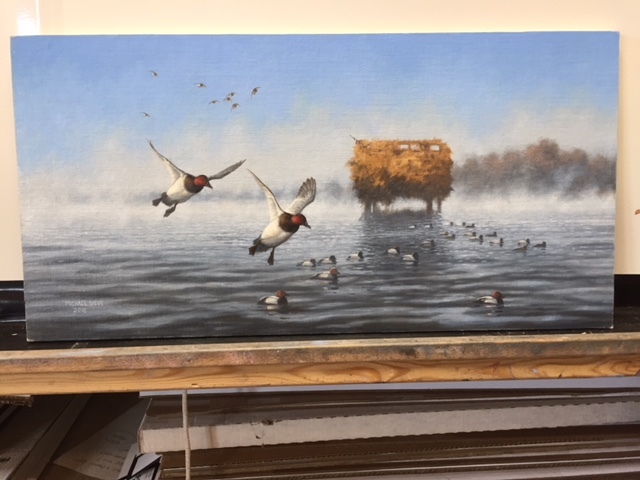 A painting of one of the duck blinds. 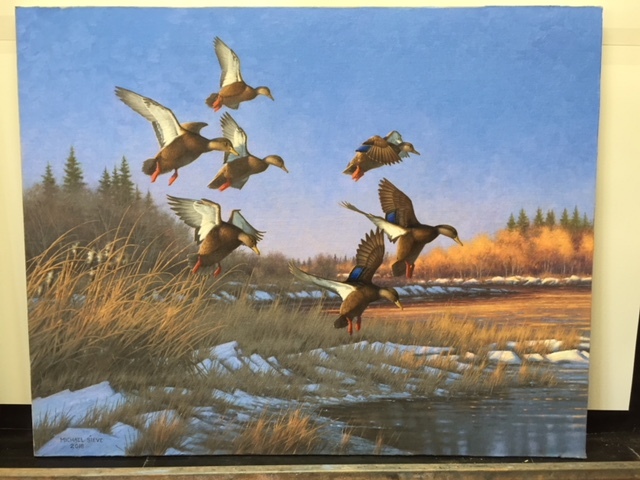 This painting is a thank-you gift to Jim Goins, our gracious host on this trip and a passionate and skilled waterfowl hunter as well. A recently completed painting based on one of the places we hunted on Chesapeake Bay. Title: Brackish Blacks-Black Ducks.